In this modernization of the Shakespeare classic, the man suspected of murdering the president of the Denmark Corporation marries his widow. Three Emmy Award wins including David Fincher ("The Social Network") for Outstanding Directing for a Drama Series and nine nominations including Outstanding Drama Series went to this acclaimed political thriller. Lead Actor nominee Kevin Spacey stars as ruthless, cunning Congressman Francis Underwood, who will stop at nothing to conquer the halls of power in Washington D.C. His secret weapon: his gorgeous, ambitious, and equally conniving wife Claire (Lead Actress nominee Robin Wright). 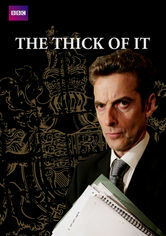 This award-winning fictitious reality comedy cleverly pokes fun at the intricacies -- and ineptitude -- of the modern British government.